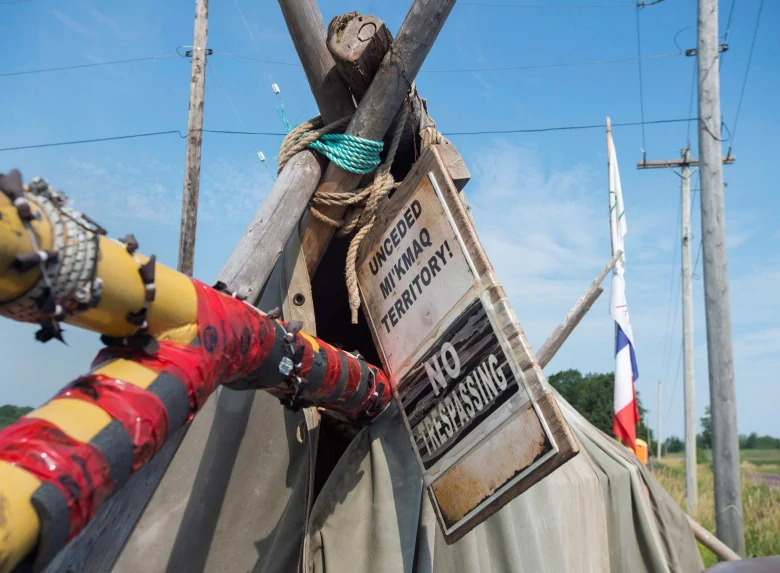 HALIFAX — A court order has laid out a small patch of fenced land where Aboriginal and other protesters will be required to remain as they oppose a plan to store natural gas in underground caverns north of Halifax. The designated area of grassy field, about 22 metres by 38 metres, is part of a Nova Scotia Supreme Court order that details how a temporary injunction against protesters on the Alton Gas property will be applied. A spokeswoman for Alton confirmed that fencing was being erected at the Fort Ellis, N.S., site, and that signs were being posted. The court document released by the company Monday — which includes an aerial view of the protest site — comes in the wake of the injunction ordered on March 18 by Justice Gerald Moir of the Nova Scotia Supreme Court. It also says the protesters must conduct their protest peacefully, only during daylight hours and that they not set up “any inhabitation” at the site. 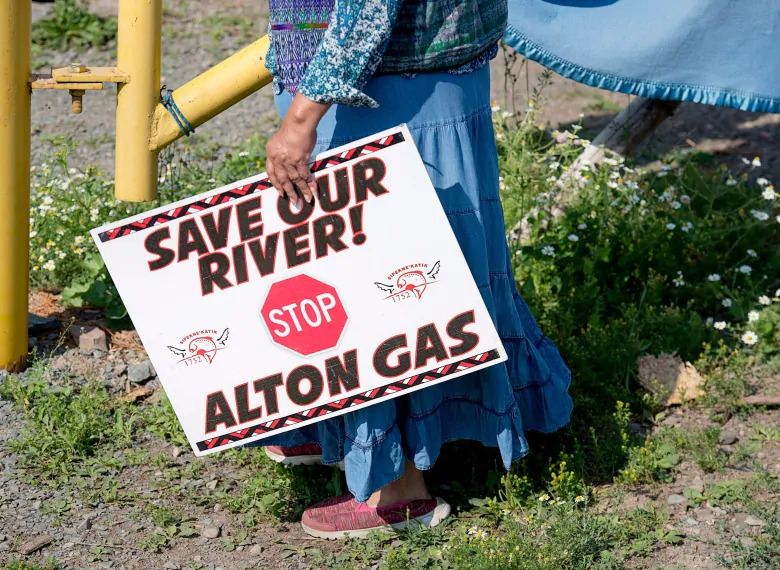 For the past 12 years, Alton Gas has been planning to pump water from the Shubenacadie River to an underground site 12 kilometres away, where it will be used to flush out salt deposits, and create up to 15 caverns. 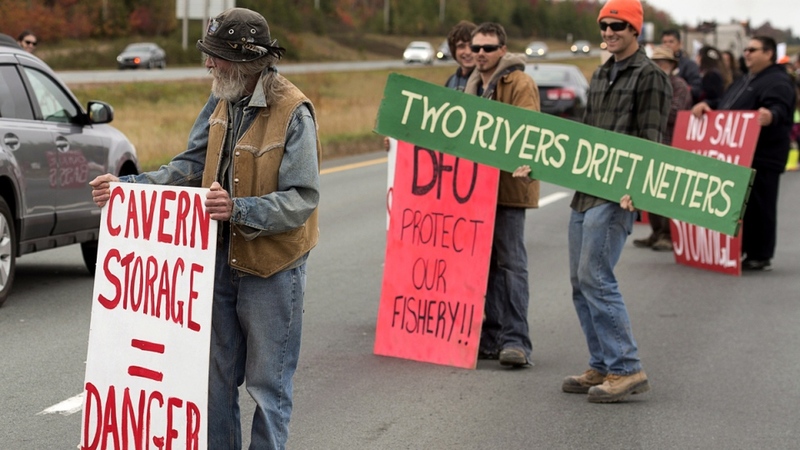 Protesters have gathered at the site for several years, arguing that the plan poses dangers to the traditional fisheries of the Mi’kmaq and risks harming the river used by Aboriginal populations for thousands of years. 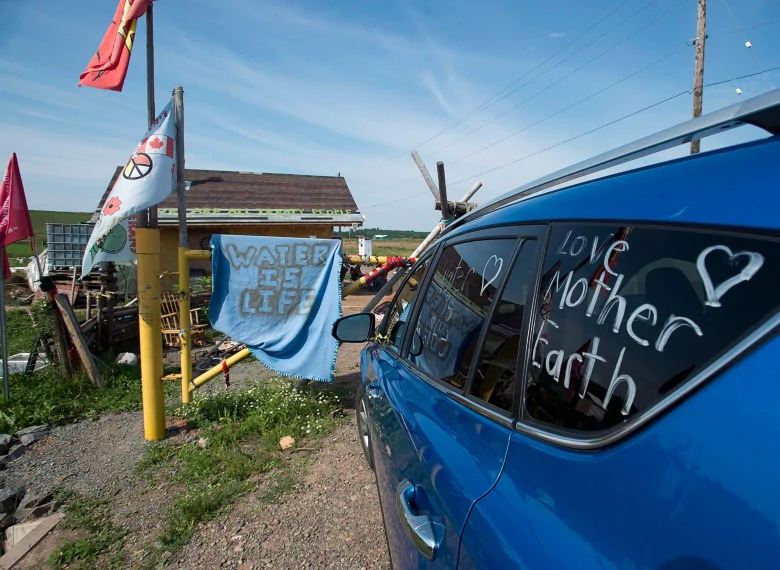 The protest had included a makeshift structure that blocked the main access road to the company’s pumphouse and control centre near the Shubenacadie River. 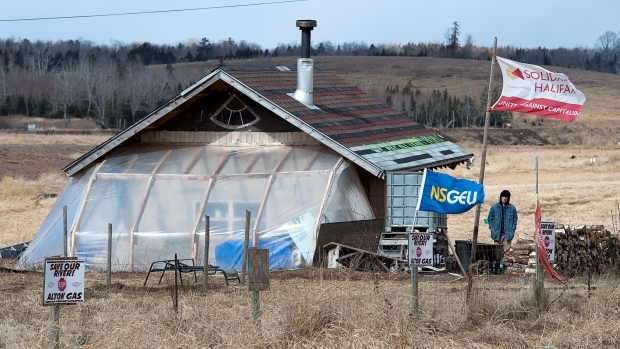 When Moir granted the temporary injunction to end the actions by Dale Poulette, Rachael Greenland-Smith and others, he said the company must set up another area where “protesters” could gather and be seen by the public. The new site is an area visible from the main road, but is about 25 to 30 metres from the entrance to the Alton work site where the current protest camp is located. “The decision by the court means people trespassing, including those named in the injunction and others having notice of the order, must leave or go to the protest area. Moving forward, access to the work site is open only to approved Alton staff and contractors,” says an Alton Gas news release. The order released Monday says that under the terms negotiated and signed by the lawyers for Poulette and Greenland-Smith and the Alberta-based firm, any person arrested may be released provided the person agrees to abide by the court order, but can also be kept in custody. 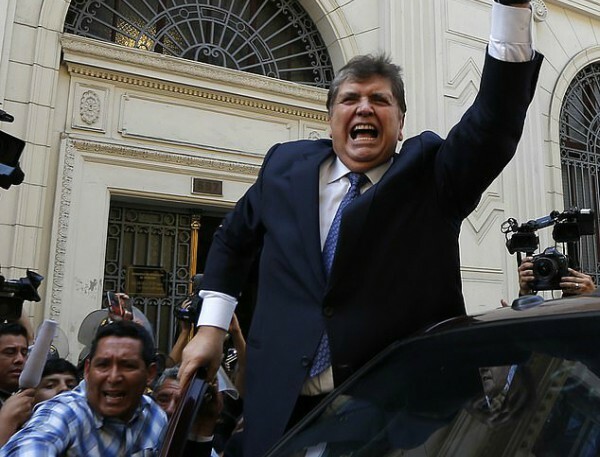 However, the document says that the respondents can apply to the courts to vary the order, after giving 72 hours notice. The Ecojustice lawyer for Poulette and Greenland-Smith who signed the document says he is no longer representing them, and their new lawyer was not available for comment. Last week, Prime Minister Justin Trudeau was met by protesters of the Alton Gas project during his visit to Halifax, and he said Ottawa will consider their grievances. The federal government said last month that it will step in to regulate the company’s plan in a way that would manage potential threats to fish, fish habitat and human health. On the muddy banks of Nova Scotia’s Shubenacadie River, Dorene Bernard is listening for sounds that will let her know the historic waterway is about to change direction. Company spokeswoman Lori Maclean says some protesters have been served with trespassing notices. 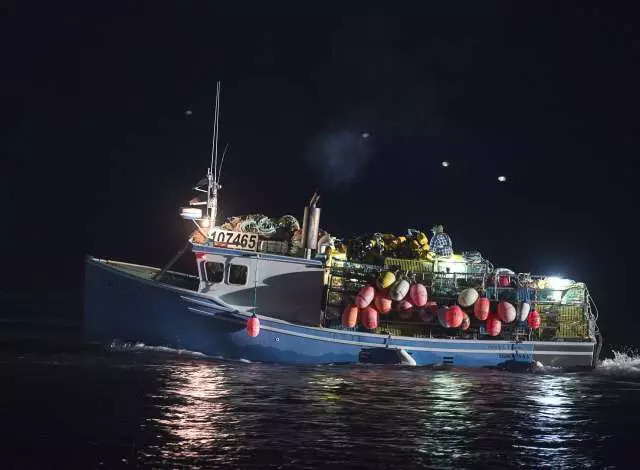 Nova Scotia Premier Stephen McNeil said it wasn’t clear what was going on in picturesque St. Mary’s Bay, and the RCMP said even less. 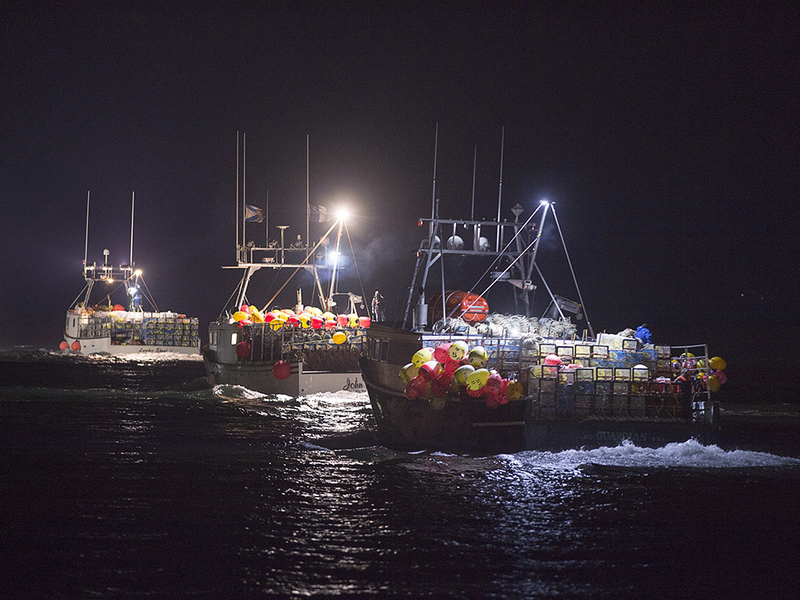 But suddenly, a simmering dispute over the province’s Indigenous lobster fishery had taken on a new sense of urgency. “Some people are patient, but I think what we’re seeing is that some people are not patient — or have given up on a timely resolution,” said Bruce Wildsmith, legal adviser to the Assembly of Nova Scotia Mi’kmaq Chiefs. Wildsmith has been involved since the beginning. He represented Donald Marshall Jr. in the 1999 case, when the country’s highest court ruled that Marshall had a treaty right to fish for eels when and where he wanted — without a licence. Marshall — previously best known for being wrongfully convicted of murder — had caught 210 kilograms of eels one day in August 1993, and then sold them for $787.10. But those interim agreements remain just that — temporary fixes for a festering problem, says Wildsmith. 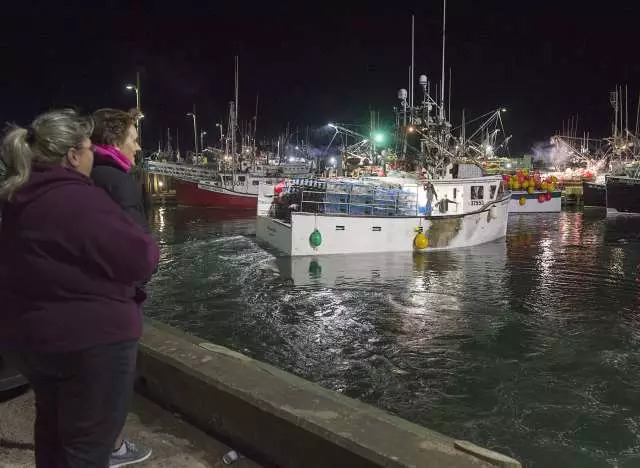 The latest clash in Nova Scotia is focused on the Indigenous food, social and ceremonial fishery. Under a previous ruling from the Supreme Court, known as Sparrow, First Nations are allowed to fish outside the regular commercial season to feed their communities or to supply ceremonial gatherings — but they are barred from selling their catches. Cornwallis was a governor of Nova Scotia. In 1749, he issued a so-called scalping proclamation offering a cash bounty to anyone who killed a Mi’kmaq person. 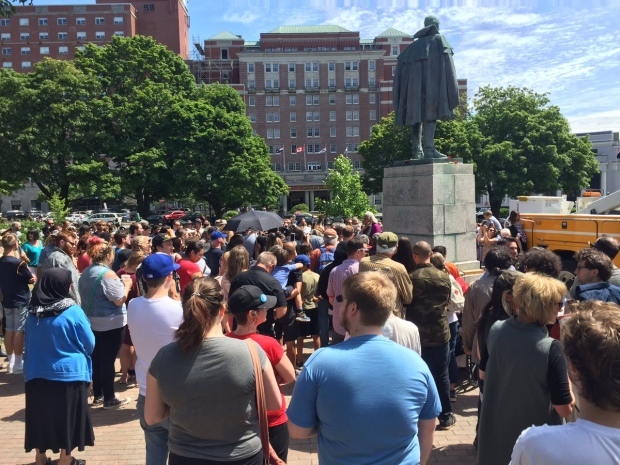 On Saturday, a large crowd protested around the statue and demanded the likeness of Halifax’s controversial founder be removed from a downtown park. 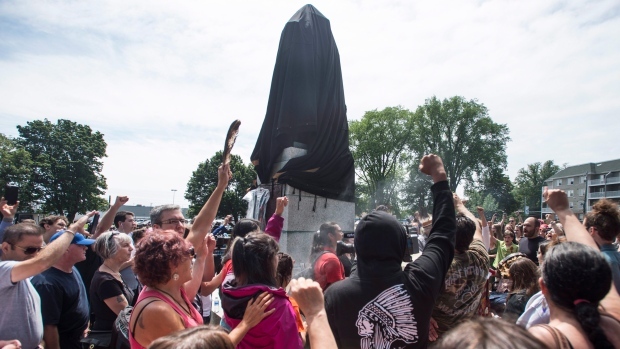 Demonstators had earlier threatened on Facebook to remove the statue but relented when municipal crews covered the monument in black cloth for the duration of the event. Group affiliation (anti-Fascist, Communist, anarchist, LGBT). 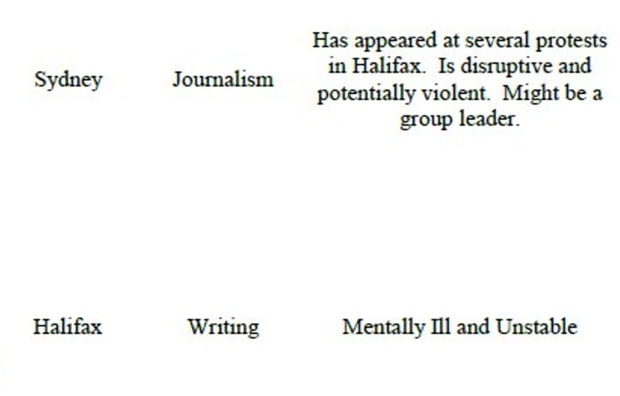 The final “notes” column identifies some people as being “mentally ill and unstable,” “extremely militant and dangerous,” having histories of being “drunk and disorderly” and being on police watch lists. 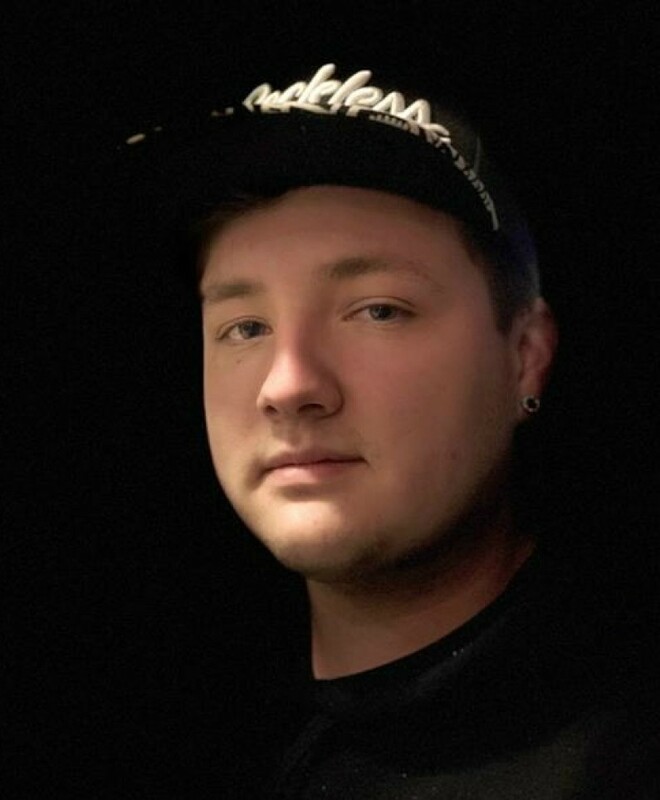 Adam Lemoine of North Sydney was doxed as having affiliations with Antifa, a far-left, anti-fascist organization. He said he was “blown away” when he found out, as he has never even been to a protest. Lemoine said he clicked “interested” on a Facebook event for a protest last Saturday at the Cornwallis statue to get updates on what happened. He believes the Twitter user who posted the list saw that, put his name into a search engine and listed what they found. 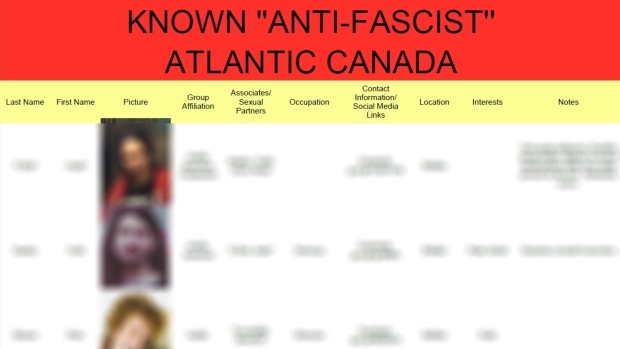 Lemoine said that when he asked the Cape Breton Alt Right group to remove his name from the list, it responded by saying even if he could prove his details were wrong, the rest of the information would stay. In an emailed statement, however, the group said it has received death threats almost daily since the list was posted. Tanner Leudy, a student at Cape Breton University, shared the same event page for the Cornwallis protest on Facebook though he knew he couldn’t attend. Leudy said he had never even heard of Antifa before the list linked him to the organization and he’s worried about how being associated with such a group could affect the future of those who’ve been doxed. The group maintains all of the information was gathered within the public domain, referencing social media and news interviews, but David Fraser, an internet privacy lawyer in Halifax, said it’s the language of the list’s “notes” column that may push legal boundaries. Information compiled from social media platforms is fair game when it comes to doxing, said Fraser. However, he added that legal proceedings on doxing, as rare as they are, require that what has been published is explored as much as why it has been published. “To be defamatory, all something has to do is to harm your reputation in the eyes of a reasonable person,” said Fraser. Fraser said the Halifax Proud Boys provide a good example of doxing. He said they were “implicitly doxed” by volunteering their personal information when showing up at an Indigenous rally on Canada Day in Cornwallis Park. They were recorded and the videos eventually made it to their workplace, resulting in their reprimand. But, Fraser said, it’s part of the “rough and tumble” of freely expressed politics. CBC News reached out to the Cape Breton Regional Police, the Halifax Regional Police and the RCMP. They say no investigation is ongoing because no one has come forward with a complaint. El Jones, Halifax’s former poet laureate and a well-known, outspoken activist, said she is not surprised she ended up on the list. “You hope that this is just some form of extreme reaction that’s perhaps just intended to intimidate people,” said Jones. After a city truck arrived, crews informed the gathering they would shroud the monument as a sign of good faith. Cheers went up from the crowd as the monument disappeared under its new veil. Some demonstrators chanted and raised their fists in the air as others drummed and sang. Afterward, people joined hands and slowly circled the statue. CBC News reporters on the scene estimated there were about 150 people at the gathering. Cornwallis, a governor of Nova Scotia, was a military officer who founded Halifax for the British in 1749. The same year, he issued the so-called scalping proclamation, offering a cash bounty to anyone who killed a Mi’kmaq person. Halifax Mayor Mike Savage attended the demonstration. He said the veil is a temporary measure and that it will be removed sometime after the demonstration, though he did not give details on the time frame. 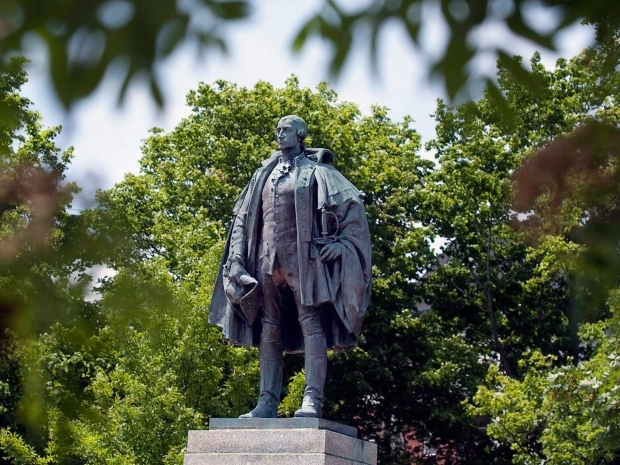 Halifax regional council voted 15-1 in April to establish a panel to make recommendations on how to grapple with municipal infrastructure named after Cornwallis. Savage said on Saturday that the committee members, which will include Mi’kmaq people, will likely be in place by September. A timeline for recommendations and decisions will be determined by the committee, he said. Savage stopped short of saying he wants the statue to come down, but he called it an “obvious impediment” to reconciliation. 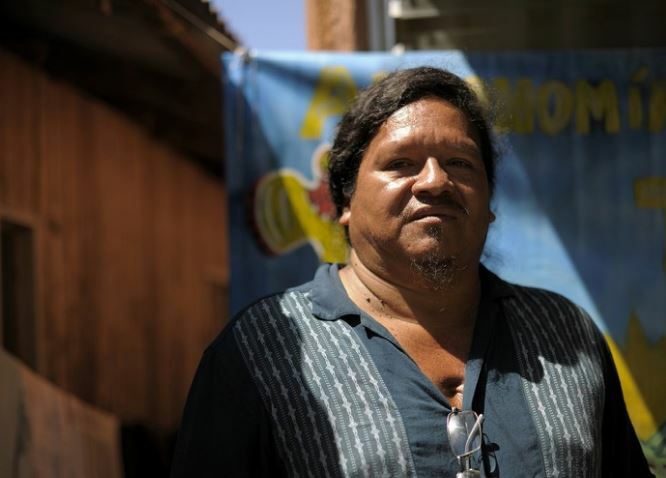 Indigenous activists said Saturday they will continue negotiating with the city to peacefully remove the statue. Patrick LeBlanc, an Indigenous man from Digby, N.S., said the statue is a painful reminder of the oppression of First Nations people in Canada. LeBlanc said simply covering the statue isn’t enough. He would like to see it replaced with something that will give restitution and healing. Protester Daniel Arnot said removing the statue shows support for reconciliation with Indigenous people. “I think some people should open their eyes and listen to people who are just making a humble request that this offensive and disgraceful homage to colonial history is removed,” he said. A small number of people who attended the event appeared to hold dissenting opinions of Cornwallis, as at least one man began shouting at the protesters and another showed up with a U.K. flag. Halifax Regional Police said Saturday morning that officers would be on the scene to ensure a peaceful demonstration can take place. But police “will respond to any criminal acts that take place,” a spokesperson for the police force said in an emailed statement. It’s unclear how activists planned to take the statue down. It stands on a stone pedestal about two and a half to three metres off the ground. The statue has been altered by protesters in the past. In 2016, someone splattered red paint across the statue and the pedestal. 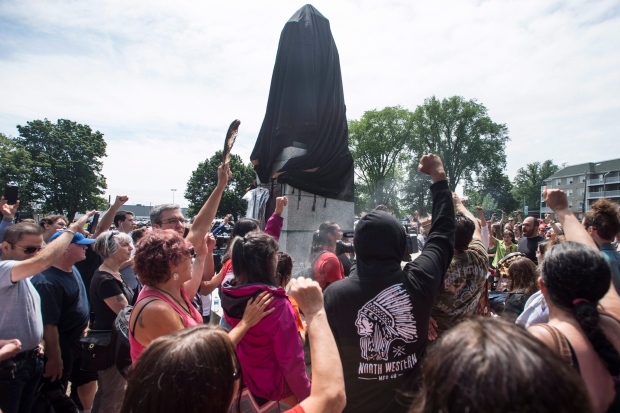 The site was also the scene of an Indigenous protest on Canada Day in which a woman shaved her head and placed her two braids at the foot of the statue. The woman said she wanted her action to bring attention to issues including Canada’s treatment of Indigenous people and the environment. 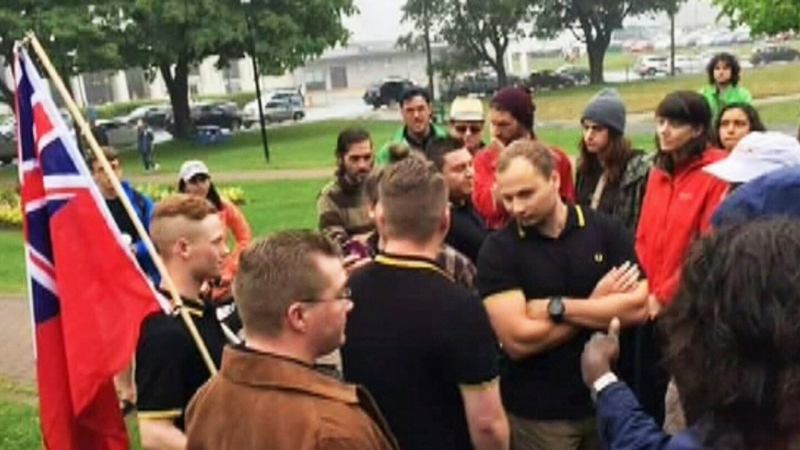 The military says five men involved in a filmed confrontation at an Indigenous ceremony in Halifax are members of the Canadian Armed Forces, and any misconduct will be addressed. 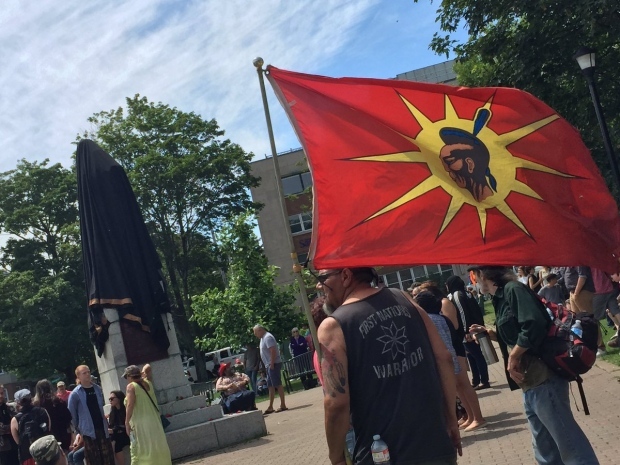 The men approached a spiritual event honouring the suffering of Indigenous Peoples on Canada Day, at a statue of Halifax’s controversial founder, Edward Cornwallis. The group of men were clad in black polo shirts with yellow piping — one of them carrying a Red Ensign Flag — as they approached singing “God Save the Queen,” according to one Mi’kmaq organizer. The Canadian Red Ensign, which bears the Union Jack in the corner, was the national flag until it was replaced by the Maple Leaf design in 1965. 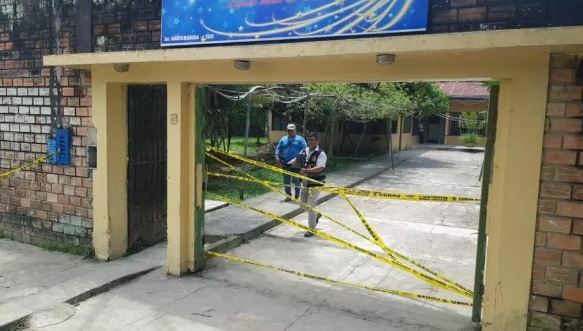 National Defence spokesman Daniel LeBouthillier confirmed Tuesday that five Forces members were involved in the incident, at least two of whom belong to the Navy. Commanders of the Canadian Army and Navy released a joint statement Tuesday saying that the chain of command “takes action” when a member’s conduct is not in keeping with military code. “The actions of a few do not reflect the Royal Canadian Navy and Canadian Army commitment to being inclusive and diverse organizations,” Vice-Admiral Ron Lloyd and Lt.-Gen. Paul Wynnyk said in a Facebook post. Lloyd and Wynnyk said they are confident that command teams in the Navy and Army know “what right looks like,” and said their actions will not be shared on social media unless required. Cornwallis, as governor of Nova Scotia, founded Halifax in 1749, and soon after issued a bounty on Mi’kmaq scalps in response to an attack on colonists. A video of the Canada Day incident at the Cornwallis statue shows five men interacting with spectators at the ceremony. A witness to the interaction says the men kept their voices down as the ceremony continued and left after about 10 minutes with little incident. A spokesperson for Defence Minister Harjit Sajjan said he has been made aware of the claim and his office is following it closely. 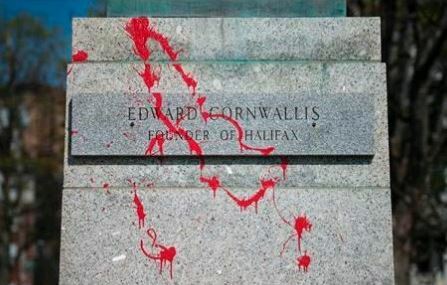 Red paint defaces the statue of Halifax city founder Edward Cornwallis in Halifax on Friday, May 13, 2016. Cornwallis, then governor of Nova Scotia, founded Halifax in 1749 and soon after issued a bounty on the scalps of Mi’kmaq men, women and children, in response to an attack on colonists. 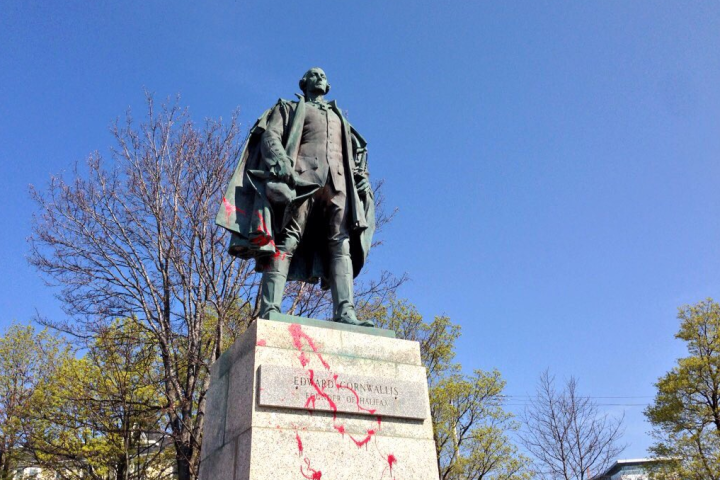 A statue of Cornwallis was vandalized last week, days after Halifax council refused to reconsider how the city honours its controversial founder. Red paint was found on the statue’s base, plaque and nearby stones, with smaller splashes on the statue itself. The statue has been vandalized before, in 2013, vandals wrote “FAKE”” in large red letters on the statue. The Mi’kmaq Native Friendship Centre and Cornwallis Street Baptist church have petitioned council to re-name Cornwallis Street, partly inspiring the motion. Rebecca Thomas, a Mi’kmaq poet who was named Halifax’s poet laureate in March, has criticized the vote of the all-white council, noting the “sweet irony” of some councillors’ concerns that their history would be erased in favour of an indigenous narrative. Tiffany Chase, a spokeswoman for the Halifax Regional Municipality, said the city’s graffiti-removal contractor has already fixed the damage. 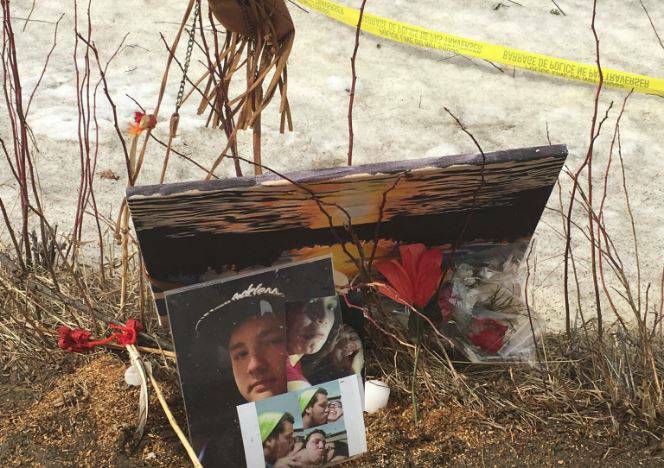 The city decided not to ask police to investigate. Halifax police Const. Dianne Woodworth said the force does not investigate vandalism unless a complaint is made by the property owner. Native fishermen and other protesters are seen making their way towards the edge of the water near the mouth of the Shubenacadie river to set eel traps as part of a protest against the Alton Natural Gas Storage project. In the background, heavy equipment is in the process of constructing salt brine holding ponds related to the $100-million project. 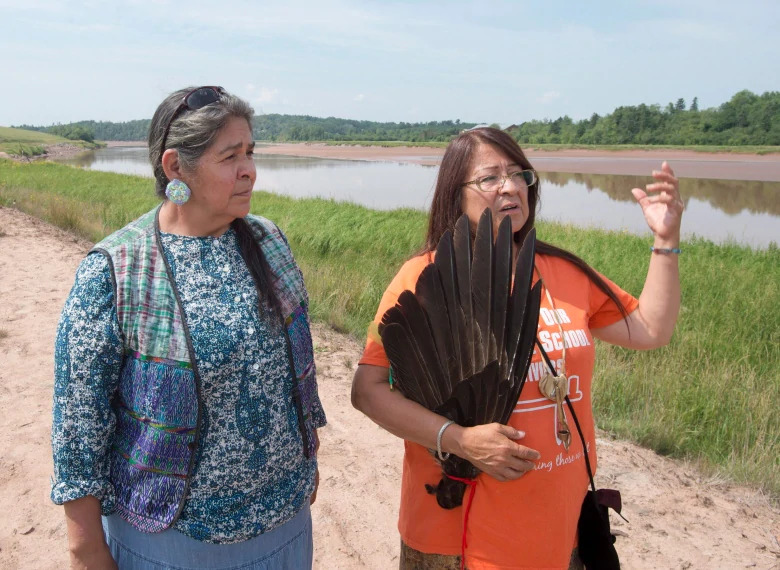 FORT ELLIS – A major legal battle is brewing if salt brine is released into the Stewiacke/Shubenacadie river system as planned, a Mi’kmaq representative said, during a small protest at the edge of a riverbank Wednesday morning. “Once we drop that first trap, then that is our treaty fishing grounds of the Mi’kmaq nation of the Shubenacadie district,” said spokeswoman Cheryl Maloney, as several native fishermen made their way through a patch of long, swampy grass to place their eel traps in the water. “Once we drop these traps, if they want to interfere and infringe with us they have to deal with the courts and they have to justify to a very high standard of justification why they’re infringing on the rights of the Mi’kmaq First Nation,” she said. Maloney’s reference is in regard to plans by AltonNatural Gas Storage to pump salt brine into the river system as part of a $100-million project that proposes creating three storage facilities for natural gas from underground salt caverns in the area. 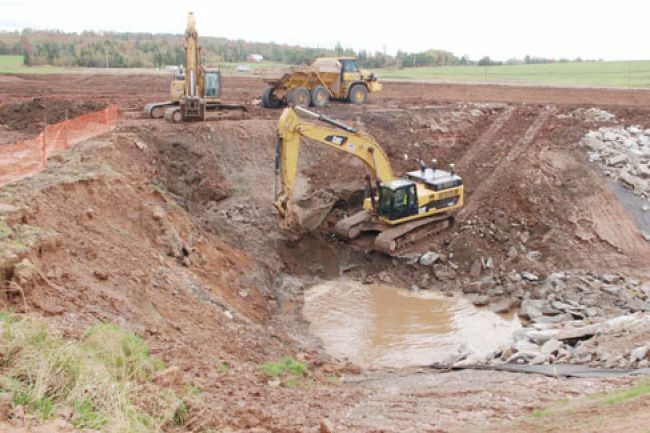 That project also includes mixing fresh water from the Stewiacke River with the salt being removed to form a brine that is to be pumped through a pipeline system from the caverns to holding ponds under construction at Fort Ellis near the mouth of the Stewiacke and Shubenacadie rivers. However, concern has been expressed by First Nations representatives, fishing association members and some local residents, that the salt brine could endanger fish stocks in the water system, including such endangered species as striped bass and salmon. Company president David Birkett has said precautions are being taken to ensure the eco-system and its fish stocks will not be harmed and extensive monitoring will be ongoing once the project gets underway. 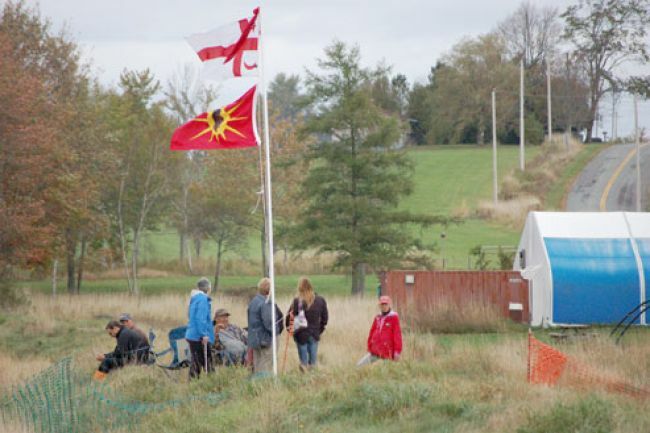 As large excavators and bulldozers toiled nearby at the construction site of the holding ponds, a protest group of about 20 people, primarily from the Shubenacadie (Indian Brook) band, held a smudging ceremony and staked out their territory by raising the Mi’kmaq First Nations and warrior flags. “It is a very significant, historically archeological position,” Maloney said. “This is our traditional hunting and fishing river. You know, we won the Simon case about hunting and fishing. The treaty was about this actual location of the Shubenacadie band of Indians,” she said, of the 1985 Supreme Court of Canada case between James Matthew Simon vs. the Queen, that upheld a 1752 treaty guaranteeing native fishing and hunting rights. “And the royal proclamation said you keep peace with us and we won’t interfere with your hunting and fishing as usual. We won’t impede or infringe on your right to hunt and fish,” she said, of the original treaty. “And so we’re going to put our traps there and claim our treaty fishing area,” she said. As numerous members of the group made their way to the river, which feeds directly in to the Minas Basin and ultimately the Bay of Fundy, they were approached by a representative from the construction site, who said his only purpose was to ensure no one was in danger from the working equipment. Maloney said the eel traps will be left in the water “indefinitely” and she told Bruce that fisherman will return to check on them once a day for as long as they are there. Brandon Maloney, fisheries manager with the Indian Brook band, said he fishes eel, bass and other species from the river system and he does not accept the company’s position that the project will not pose a danger to the fish stocks. 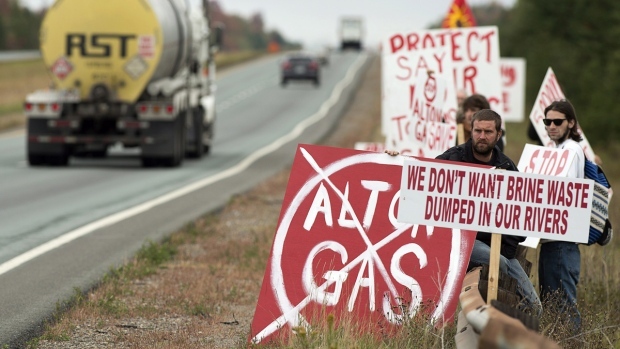 Mi’kmaq protesters and residents of a rural community slowed traffic on a Nova Scotia highway Wednesday in a bid to stop construction of a natural gas storage facility they fear will contaminate local waterways. Organizer Cheryl Maloney said about 100 people lined Highway 102 near Stewiacke to hand out pamphlets and wave placards as part of a peaceful protest about 60 kilometres north of Halifax. Maloney said First Nation bands want the $100-million project stopped because they say there hasn’t been enough consultation with native and non-native residents. “Nova Scotians just don’t know what’s happening and people that live right next to where they’re plowing and building the brine facilities, they don’t even know,” she said in a telephone interview from the site of the protest as car horns blared in the background. Alton Natural Gas Storage, a subsidiary of Calgary-based AltaGas (TSX:ALA), wants to store natural gas in three underground salt caverns that will be about 1,000 metres underground. 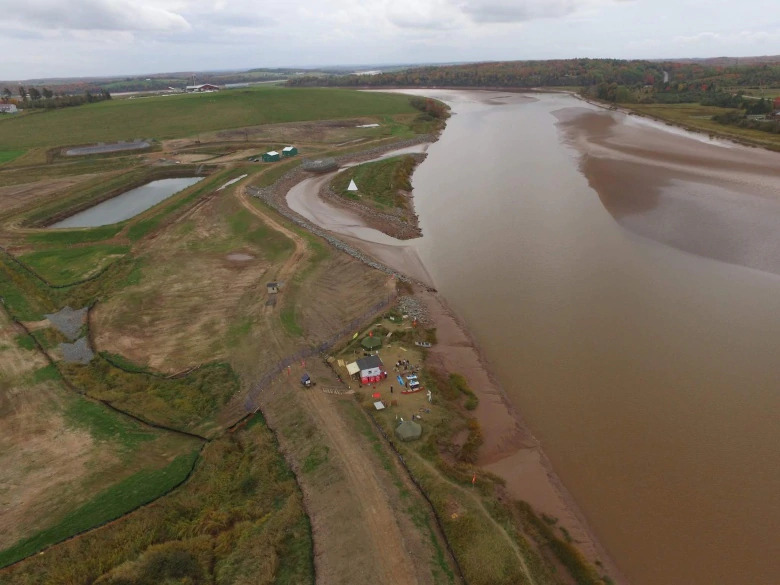 The company plans to drill into the salt formations and pump in water from the nearby Shubenacadie River to dissolve the salt, with the leftover brine water being pumped back into the river system. The company’s website says drilling for the first cavern started last month. Alton president David Birkett issued a statement Wednesday saying the company has been in regular contact with Mi’kmaq for the past eight years and it is open to more meetings. The environmental assessment process required consultation with First Nations, he said, adding that the company met with the chiefs from Millbrook and Indian Brook in 2006, conducted two Mi’kmaq ecological studies in 2006 and 2012, met with the Native Council of Nova Scotia in 2007 and hosted a site tour for Mi’kmaq-owned businesses in 2009. 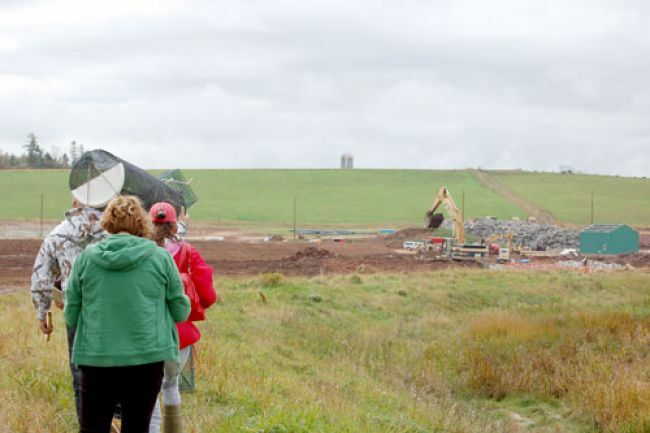 More recently, the company provided updates at an open house in 2011 and invited the Native Council of Nova Scotia to provide submissions to the environmental assessment process in February 2013. Meetings were also held with the Mi’kmaq in June, August and earlier this month, he said. “Our company has worked hard to bring the benefits of natural gas storage to Nova Scotians in a safe, responsible and sustainable manner,” Birkett said in the statement. Nova Scotia’s Environment Department has said it is continuing to consult with the Assembly of Nova Scotia Mi’kmaq Chiefs on the project. It added that the company still requires permits from Natural Resources, Agriculture and Environment before it can begin using a brine storage pond at its site. Alton said it also implemented mitigation measures to ensure the project wouldn’t affect fish in the rivers, something Maloney said she doesn’t trust to protect threatened stocks of striped bass. Alton says salt caverns have been used to store natural gas in Canada since the 1960s. The storage facility in Nova Scotia will be used to stabilize the province’s supply of natural gas. The gas from the caverns would be linked by pipeline to the nearby Maritimes and Northeast pipeline, which extends from Nova Scotia to the northeastern United States.